Greta Jean Moody Emanuel came into the world on her mother’s birthday, June 28th, 1931, in Hominy, Oklahoma. She was the much loved and adored daughter of Dorothy and Robert Gorby. Her childhood was an adventurous one, spending time with her Auntie Marguerite in Pawhuska, taking trips to Eureka Springs, and spending summers in Los Angeles. Greta attended Tulsa Central High School where she met her future husband, Floyd Emanuel, in math class where they competed for the best grade. Floyd has said he was successful at wooing Greta because he “had all the right angles.” Greta attended Tulsa University, the University of New Mexico, and Oklahoma State University where she graduated with a BS degree in vocational education. She was a member of the Delta Gamma sorority, a sisterhood she shared with her two granddaughters. Floyd and Greta were married in 1951, a union that lasted 68 years. While Floyd was serving in the Navy overseas, Greta welcomed daughter Priscilla Elaine into the world in 1953. Son Jeffrey Scott soon followed in 1956. The family settled in Oklahoma City where Greta was scout leader and sunday school teacher. When the kids were older, Greta, Elaine and Jeff filled the driveway of their home with their own VW Beetles. Greta, like her mother, was a trained cosmetologist. She taught cosmetology class at U.S. Grant High School for 23 years until her retirement in 1987. Greta enjoyed mentoring her students and embraced her role as an educator. She was an active member of Beta Xi chapter of the international teacher’s organization Delta Kappa Gamma. Greta had a colorful and friendly personality and loved meeting new people, learning new things, and traveling to new places. She backpacked through Europe and took numerous trips across the U.S. and the world. Greta’s appreciation of Native American and western culture drew her to the National Cowboy & Western Heritage Museum where she was a docent for 25 years. Greta was a 50+ year member of St. Luke’s United Methodist Church. She was very committed to the mission of the UMW and dedicated much of her free time to serving the community through the organization. Her beautiful smile and sense of humor stayed with Greta until the end of her life and will be deeply missed by her family and friends. She is survived by her husband Floyd Emanuel; her daughter Elaine Busch and her husband Lyndell; her son Jeff Emanuel and his wife Jill; her granddaughter Christy Ishii and her husband Hiroki; her granddaughter Rebecca Ambrosi and her husband Ştefan; and great-grandchildren Emma Ishii, Kai Ishii, and Nicolae Ambrosi. 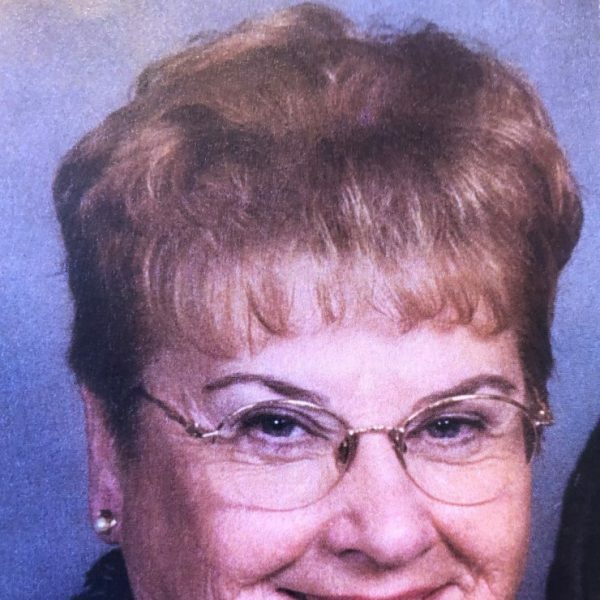 A memorial service for Greta will be held at St. Luke’s United Methodist Church in Oklahoma City at 1:30 pm on Wednesday, April 10, 2019. In lieu of flowers, please make a donation to Infant Crisis Services in Oklahoma City.